Over the last 50 years our Strung Blood Quill Turkey Marabou has won the hearts of some of the world's biggest names in commercial fishing fly tying. If you've ever purchased Marabou from a fly shop or sporting goods store, there's a good chance you've already bought our stuff! We don't market our Marabou under our own brand because we supply to so many outfits that put their own name on it, and that's perfectly fine with us. 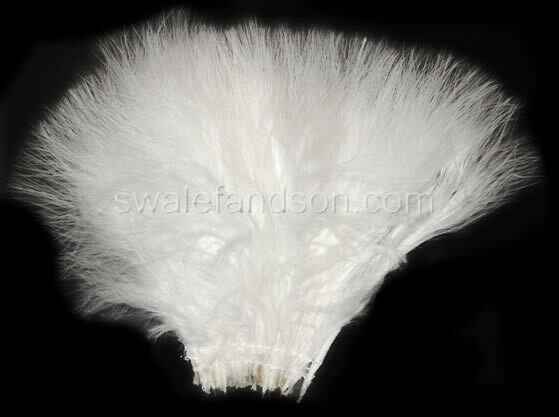 With practically no waste, our Bulk Blood Quill Marabou is perfect for resale and production. If you're unsure, ask us for a free sample!